For small and medium-sized business owners, it is sometimes helpful to pause and reflect on this question: Why did you get into business ownership in the first place? The answer, of course, will vary from one entrepreneur to the next. No doubt there are many who got into business ownership out of their zeal to deliver specific services or products, or to work in a field they feel is important or undervalued. For some, the answer may simply be the independence that comes from running a company. Few business owners are likely to say that they got into the line of work they are in simply so that they could mount a strong content marketing campaign. Indeed, many of today’s business owners have embraced the notion that maintaining a robust social media presence is key for keeping customers and clients interested. They just don’t care to do this work themselves—and thankfully, they don’t have to. There are plenty of reasons why companies are smart to outsource their content marketing campaigns, and some of them may surprise you. For example, ask yourself this question: Is it important to have a specific plan for your content marketing endeavors? Most of us would surely answer in the affirmative, and yet, according to research from the Content Marketing Institute, only about 5 percent of all small business actually have plans, in writing. In a way, that makes sense. For small business owners with no formal training in content marketing, strategizing and codifying a plan is probably somewhat foreign. By outsourcing to professionals, you can ensure that your objectives are formally laid out, and a plan is put into place to meet those objectives, as efficiently as possible. 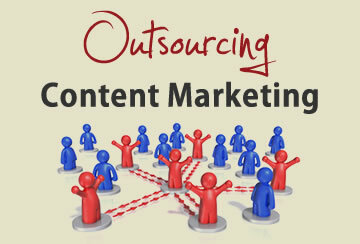 Consider, for a moment, the alternatives to outsourcing your company’s content marketing. You can hire someone to do it in-house—which will be relatively expensive, especially if it’s a full-time position with benefits—or you can give content marketing responsibilities to someone who is currently on your team, and likely has plenty to do already. It is easy to see how outsourcing is really the least expensive option, as well as the option that allows your staff to focus on its core competencies. One reason why many companies begin content marketing campaigns but then see them fizzle out is that, at the end of the day, they simply run out of things to talk about. Rather than surrender your social capital to a case of writer’s block, you can enlist the help of someone whose job is to think of new, exciting, and fresh ways to talk about your business and your industry. This has the added bonus of expanding your own understanding of your niche, and adding new perspective to how you perceive your own brand. Still another reason to think about outsourcing your content marketing campaign: A professional firm will have tools and resources that you either don’t have, or don’t particularly care to invest in. And this doesn’t just mean social media management tools like Hootsuite, but also key reporting and analytic tools, which are crucial for showing you that your content marketing endeavors really are working, and that your brand really is marching toward the meeting of its goals. When you get right down to it, though, brands outsource their content marketing endeavors for the same reasons that individuals seek out reputable plumbers, trusted medical caregivers, and professional auto mechanics—because when it comes to something this important, you want to entrust it to someone who does it all day, every day, and has a proven track record of success. Before you outsource your content be sure that quality produced is worth your cost. It goes without saying outsourcing is a viable option so you can focus on your core-related tasks which you do best, but it is never worth to sacrifice your marketing prowess. Thank you for sharing your thoughts!